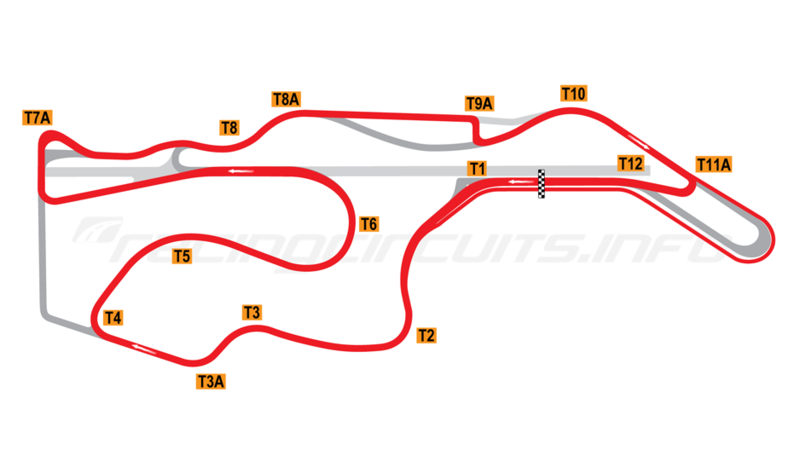 So here we are again, as we go into the final round of the 2018 season and it's the last time the final round will be held at Sonoma for the foreseeable future, with IndyCar returning to Laguna Seca, which will host it next season. April 1970, Sears Point hosted the 2nd round of the USAC Championship Car season, the Golden Gate 150, which was won by Dan Gurney in his AAR Eagle-Ford. This would be the first and last AOWR/IndyCar race for 35 years. Performance Driving and eventually bought by Black Mountain Inc., which included Bondurant. In 1981, When Black Mountain Inc., defaulted on payments, the track was bought back by Filmways Corp., and then subsequently sold at auction to a business group that included the 1964 NHRA top-fuel drag racing champion, Jack Williams. The track came under the control of Brenda Raceway Corp., when business partners Dr. Frank N. Scott Jr. and Harvey "Skip" Berg came on board. It was sold in 1996 to current owners Speedway Motorsports, Inc. In 2002, Infineon bought the naming rights in a 10 year deal, renaming the track Infineon Raceway. When the deal expired, the new name of Sonoma Raceway was chosen. AOWR/IndyCar returned on August 28, 2005, after a 35 year absence, with Tony Kanaan wining the IRL's inaugural race at the venue, the Argent Mortgage Indy Grand Prix, for Andretti Green Racing in a Dallara IR05-Honda HI5R. Since then the race has been an IndyCar perennial. The driver with the most wins, 3. Scott Dixon, 2007, 2014, 2015. Will Power: 2010, 2011, 2013. The team with most wins, 6. Team Penske: 2008, 2010, 2011, 2012, 2013, 2016. The full length road course, is 2.523 miles (4.060 km), with 12-turns and 160 feet change in elevation. It also has a quarter mile (402 m) dragstrip, which was originally part of the start/finish line straight. In 2001, the race track was separated from the drag strip. The venue also hosts rounds for other series, including AMA Superbikes, NASCAR Sprint Cup, NHRA Championship Drag Racing, SCCA and WTCC, as well as IndyCar and can accommodate different layouts for each series. to out-brake each other and set up a passing opportunity, before going into Turn 12. The exit off Turn 9, the Bus Stop, was widened by 10 feet on the driver’s left, giving additional width to what was already a passing zone and Turn 7 became a u-turn similar to Turn 11B. September 16, 2017. 01:15.5205, 113.691 mph (182.967 km/h). Team Penske, Dallara DW12-Chevrolet Indy V6. Going into the race with a three point lead over Dixon, Newgarden took pole, giving him the extra point. From the start Newdarden dominated, taking the lead. However, unlike Penske team mate and the current IndyCar champion Pagenaud, who had opted for a four stop strategy, Newgarden elected for three stops, which would be decisive. For the first time in Sonoma Raceway history, the race was caution free, with Newgarden and Pagenaud each leading 41 of the 85 laps. Despite the lack of cautions, there were a few incidents as Kanaan and Sato both suffering punctures, with Sato finally retiring with engine issues as did his team mate Rossi. Otherwise, the race was largely processional. battled around the track. Newgarden attempted a pass at the Turn 7 hairpin, to the inside of the tight right-hander but was unable to get past. Pagenaud then encountered slower traffic during the final seven laps, which bunched the field up and brought Newgarden within a few tenths of a second. Pagenaud won his second and consecutive race at Sonoma, with Newgarden second, giving him the Driver's Championship. Power finished third. However, Dixon finished the race in fourth place, ahead of Castroneves thus preventing Penske from taking a clean sweep of the top four championship positions. The championship was the 15th for Team Penske, with Newgarden and Pagenaud finishing 1st and 2nd in the Driver's Championship. Last edited by bjohnsonsmith; 13 Sep 2018 at 13:59. Here's a break down of the points available in this weekend's season finale and Driver's Championship decider. Nicely done on the lead in as always! Down to 1 race and there can be only one! 4 mathematically still in the hunt, but seems to be down to Rossi and Dixie. Should be a good one!! Newgarden and Power still have mathematic chances, but I admit that it's very unlikely that they catch Rossi and Dixon. Can anyone perhaps tell me why they bypass the 90 degree nascar hairpin at the end of the lap? Personally, the penciled in hairpins (11A, 11B) that Indycar has been using since 2005/2012 are simply awkward and much too sharp. 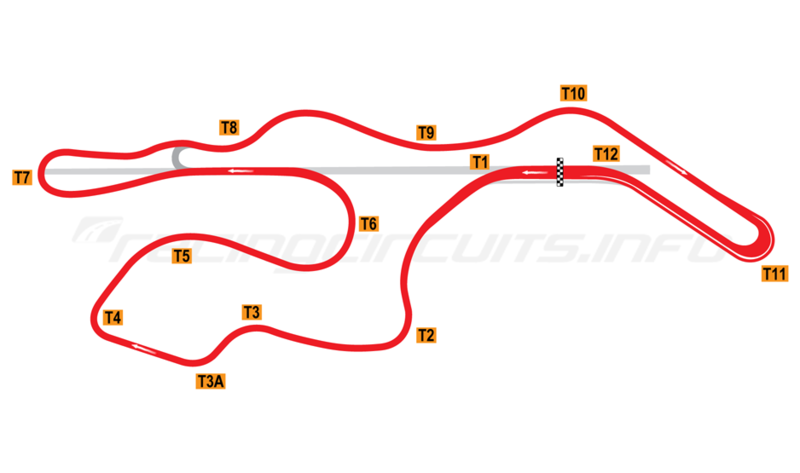 It's been stated that it's due to a lack of run-off at the original Turn 11. BJS, good opening. The one note I will make is that the 2005-07 layout didn't use the "Budweiser Bottleneck" (Turn 7A). I checked the coverage of the first few laps of the 2007, '08, and '11 races to confirm layouts and when layouts changed. Dixon, Rossi near the top of P2 time sheet with about 30 minutes left. O'Ward just went to the P1 slot by .6 seconds. Race control is listing that time as on blacks, but I suspect it was on reds. It was reported on Indycar radio that O'Ward's time (6th fastest of the day, and 2nd fastest in P2) was in fact done on blacks. Could result in some interesting strategy come race day. FP3 Live Stream on youtube. Seems that Rossi's team decided to save a new set of red tires rather than attempt to snag the pole. Not sure if that will play into the race or not. Andretti cars had good pace in qualifying, ending up 1, 4, 6, and 10. Great job by O'Ward to qualify 5th. 2nd fastest Chevrolet, only topped by Newgarden. Autosport didn't publish the full result, so this will have to do. RH-R's on pole, pipping Dixon by 0.1322s, with Dixon blaming driver error. Nearest championship rival Rossi was 6th. Good to see O'Ward up in 5th for Harding Racing. So thats that for Rossi then. The race is on the 2nd formation lap, as NBCSN wait for NASCAR to break the record for the most FCYs in one race. Is he allowed to shortcut like he did? He dropped near the back, shortcut part of the track, went into the pits and is still only a minute behind?